The Re-Lock bicycle lock is a smart patented lock that is innovative and completely geared to today’s needs. It makes using your bike so much easier. Lock your bike using just 1 hand. Open your lock automatically while the key is in your pocket or bag. Check whether your bike is locked or unlocked with 1 click of a button. The locked/unlocked checker means you always have proof for insurance purposes. Why an electronic key rather than simply using your smartphone? 1) Smartphones regularly have an empty battery, which would mean you then couldn’t open your lock. 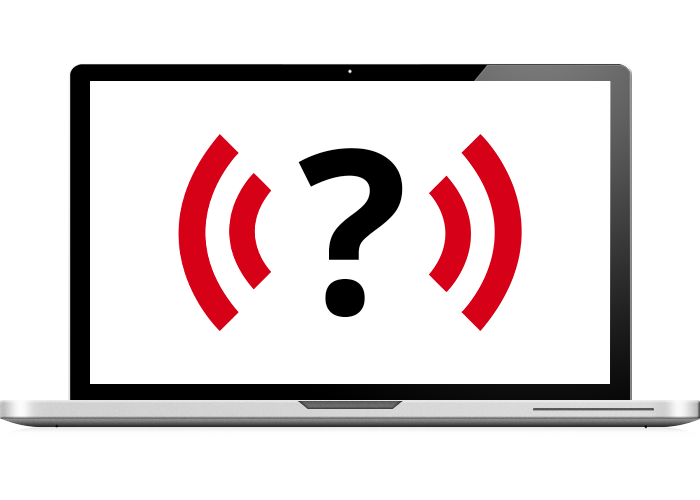 2) Wi-Fi and Bluetooth signals are not at all secure and can be hacked from great distances. 3) With a smartphone, you have no proof your bicycle was locked for insurance purposes. 4) In rural areas, there are still many places with no or poor reception, leaving you high and dry. 5) You would not be able to lend anyone your bike without giving them your phone too, which is of course not very practical. 6) With a smartphone, you still need to undertake an action to instruct the lock to open, meaning you still need your hands to open the lock. How long do the Re-Lock batteries (2XAA) last? At least 3 years with intensive use. How do I know when the batteries are almost flat? As soon as the batteries produce an insufficient charge, you receive a beep signal in good time. Can the lock close spontaneously while cycling? No, the lock uses manual resilience by means of a child-safe lever. The electronics can only open the lock by means of an encrypted radio signal from the e-key. What happens if I forget to lock my bike? If the bike is unlocked, you get a signal (sound or vibration) as soon as you are over a meter away. Does the lock work in all weather conditions? Yes, the lock withstands cold, heat waves and heavy rain very well because the electronic components are completely enclosed. 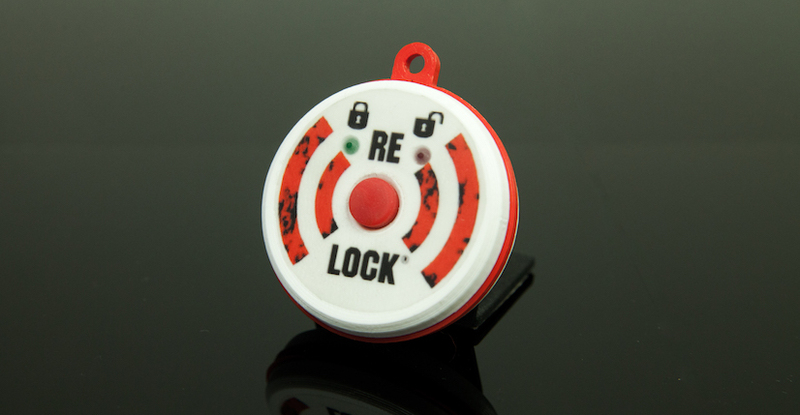 The electronic key detects your bike and opens the lock automatically. They electronic key is the brain of the Re-Lock. As soon as you are close by, the electronic key wirelessly detects the lock so that it opens automatically. You can check whether your bike is locked or unlocked with 1 click of a button. Battery life of 3 years. Proof for insurance purposes with the open/closed checker. We offer users a service for opening the lock in the event the electronic key is lost. 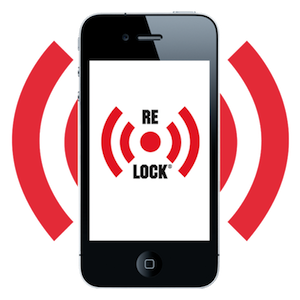 After registration of your Re-Lock, you receive a text message with a pin code. You can enter this 4-digit pin code into the lock itself, by pressing the logo. This mean that if you lose your key, you can still open your lock and use your bike. If your bike is stolen despite being locked, the key can be sent to your insurance provider. The insurance provider can use a special reading device to ascertain whether the bicycle was locked for the purposes of covering the loss.